As a dentist, you need a laboratory partner that recognizes each patient is unique and shares your goal of delivering superior care. 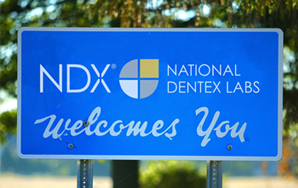 At National Dentex Laboratories (NDX), our network of dental labs provide consistent, high-quality dental restorations and appliances with quick turnaround times. We understand that your dental practice has ever-changing needs and demands to meet, which is why our dental laboratories offer a vast array of the resources your practice needs to be successful in a highly competitive market. From experienced technicians, possessing unparalleled artistry, to innovative digital solutions and professional consultative services, NDX labs are committed to offering your practice exceptional dental products and services. Our local labs collaborate with your practice—allowing you to build partnerships with dental technicians—so you can use the lab as a primary resource for restorative and technical expertise in order to meet and exceed your patients’ everyday needs. While our national labs have unlimited capabilities to provide superior value and a full range of dental products that can be shipped anywhere in the United States. Our aesthetic laboratories prepare meticulously crafted, artful dental restorations and offer the most experienced craftsmen in the industry, and our technology-driven laboratories fabricate surgical guides, guided prosthetics and other cutting-edge, customizable solutions. To learn more about the restorative dentistry solutions offered by National Dentex Labs, please call 1-800-678-4140! Sign up to receive a starter pack and more detailed information about our offerings. Dedicated to building personal relationships offering exceptional service, including drivers, chairside expertise, and continuing education. 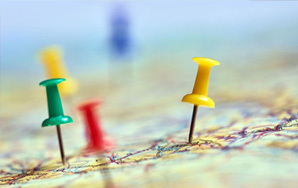 Offering simplicity, value and full capabilities, our labs ship anywhere in the USA - a perfect solution for both DSO's and individual practices. When aesthetics matter most, our most experienced craftsmen provide meticulously prepared, beautiful dental restorations. NDX offers cutting-edge surgical guides and digital preparation services, such as the nSequence® Guided Prosthetics® Kit Workflow.